The first appearances just keep on rolling. Issue 11 brings us the Stranger. 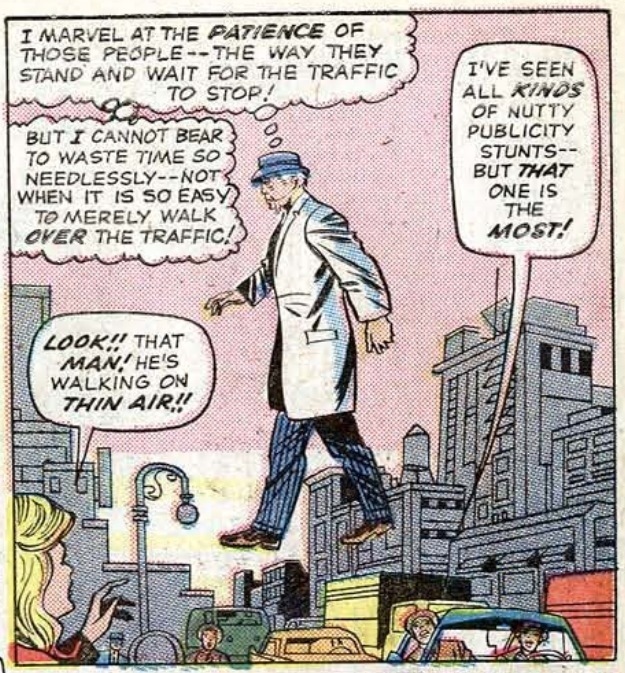 He’s some old man who can walk on air and through walls and do who knows what else. And this time they don’t find him by watching TV. So far the villains we’ve seen have been a mixed bag, and I didn’t expect much out of this guy. I was pleasantly surprised. 1. First of all, Mastermind gets turned into a block of solid ‘matter’, whatever that means.